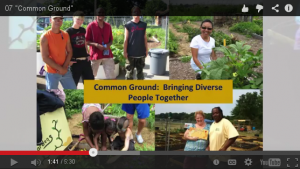 The Unity Gardens is an organization initiated in the South Bend area with a goal of community building through a framework of Gardens. The gardens not only provide healthy food for anyone, but also educate the community on how to grow, and eat healthy food. 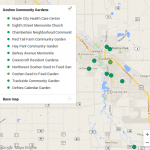 Goshen has at least a dozen community gardens of various sorts and sizes. Many are run by churches, others by neighborhoods, a health clinic, a food bank or schools. Food spans many interest areas. Boston Schoolyard Initiative – Transforming schoolyards into dynamic centers for recreation, learning, and community life. Space to Grow: Greening Chicago Schoolyards – an innovative program to transform Chicago schoolyards into spaces that provide students, their families and the broader community with opportunities for active play and outdoor learning, space for physical education classes, gardening and environmental literacy, and engagement with art. 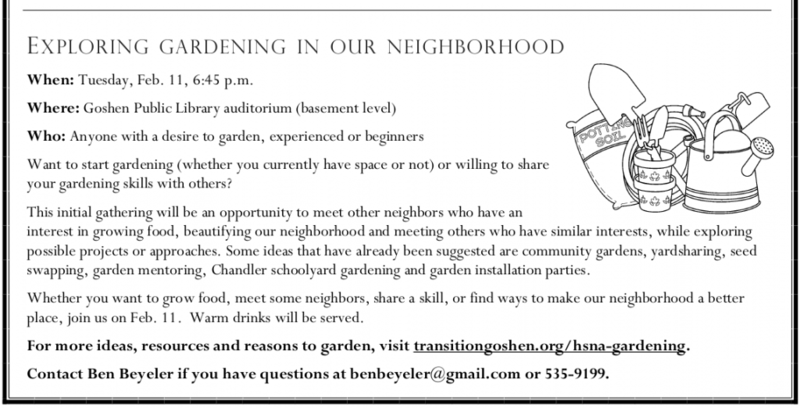 McPherson Neighborhood Community and Family Gardens – McPherson Elementary School gardens include both a community and family garden. How to Make Cities Happier Places – a new study shows that moving from a less-green urban environment to a more-green one can lead to lasting positive changes in mental well-being. The Benefits of Digging in the Dirt – Nature schools are helping make outdoor play a priority for a generation of kids suffering from nature-deficit disorder. This entry was posted in food by Ben Beyeler. Bookmark the permalink.